ROCK Pi 4 is a Rockchip RK3399 based SBC(Single Board Computer) by Radxa. It can run android or some Linux distributions. It offers “class-leading performance while leveraging outstanding mechanical compatibility”. The RK3399 SoC packs a quad-core 1.5GHz Cortex-A53 with a dual-core 2GHz Cortex-A72 in a big.LITTLE arrangement, along with a Mali T860MP4 GPU. Radxa offers two versions of the board — the Model A, and Model B, both featuring the same SoC and most of the same hardware, but diverge in the connectivity options. It should be noted as well, that each board features increased amounts of RAM options — 1/2/4Gb of LPDDR4, depending on your preferences. As far as the rest of the hardware is concerned, both boards offer an eMMC socket, micro SD card slot (up to 128Gb), M.2 NVME SSD socket, and 40-pin GPIO. They also pack an HDMI 2.0a port, MIPI CSI2 camera connector, 3.5mm audio jack, 2X USB 2.0 ports, 1X USB 3.0 port, 1X USB 3.0 OTG port, RTC, and Ethernet GbE LAN. Difference between Model A and B are the connectivity options, as the latter has integrated 802.11ac Wi-Fi, Bluetooth 5.0, onboard ceramic antenna and an option for PoE via Raspberry Pi’s PoE HAT. Both boards can “officially” support Android, Debian, and Ubuntu, but chances are you can probably run most anything Linux-based. Mali T860MP4 gpu, support OpenGL ES 1.1/2.0/3.0/3.1/3.2, Vulkan 1.0, Open CL 1.1 1.2, DX11. MIPI CSI 2 lanes via FPC connector, support up to 800 MP camera. USB PD, support USB Type C PD 2.0, 9V/2A, 12V/2A, 15V/2A, 20V/2A. 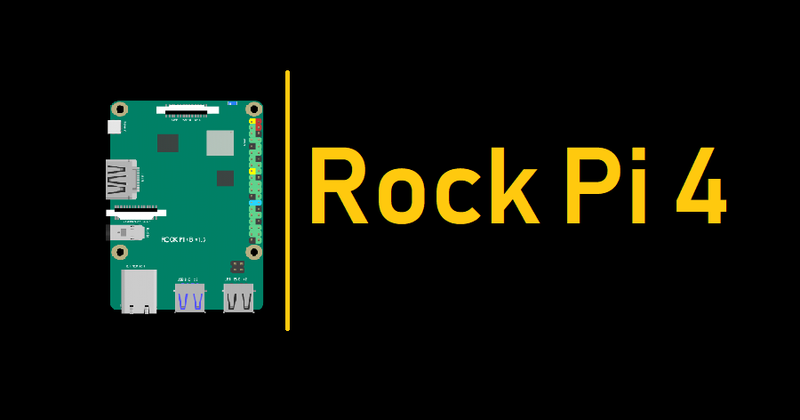 The Radxa Team has tried our best and pushed our limits for the hardware design of the ROCK Pi 4 on every aspects. The hardware has been revised multiple times and now v1.3 is the massive production version. Radxa hasn’t provided a release date for the Rock Pi 4 line as of yet.